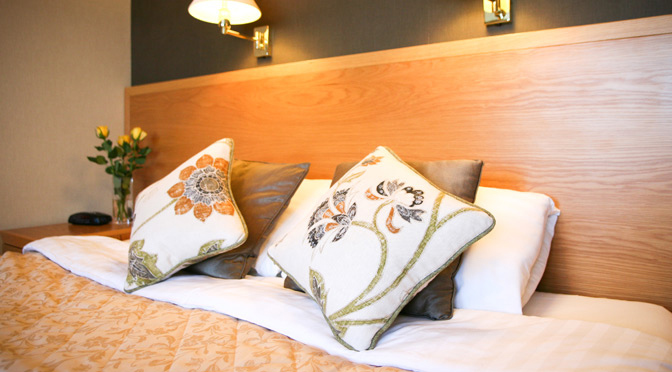 There are 8 fully ensuite quality bedrooms in the Hotel. 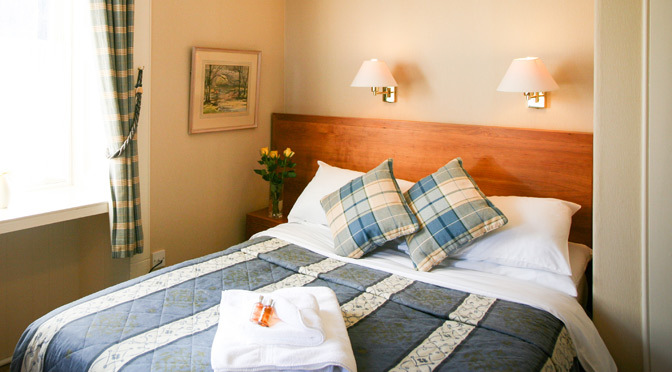 The rooms have been re-furbished to a high standard, but all remain individual in character and assure a peaceful and relaxing stay. 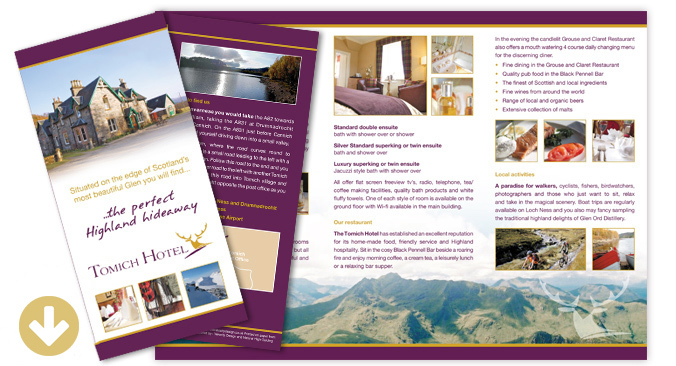 Dogs are welcome from £8.00 per night per dog. Superior Luxury superking or twin ensuite – Jacuzzi style bath with shower over. 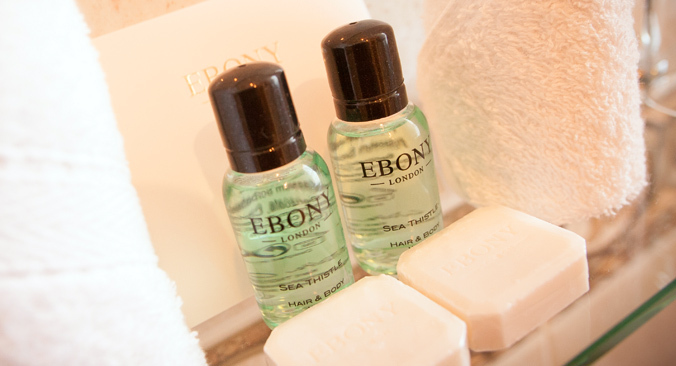 All rooms offer flat screen freeview tv's, telephone, tea & coffee making facilities, quality bath products and white fluffy towels. One of each style of room is available on the ground floor with Wi-fi available in the main building. 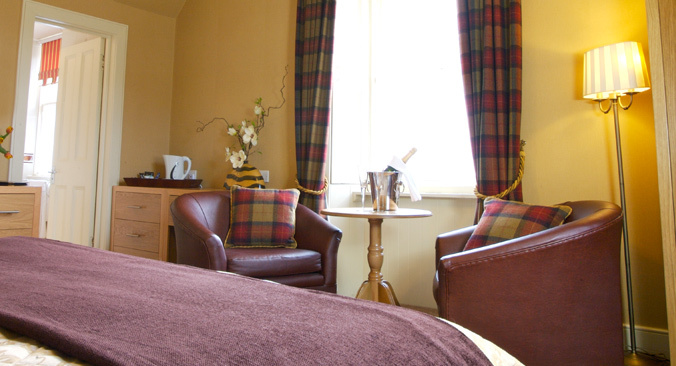 Cosy double rooms, either bath with shower over or shower. Single occupancy available. Large well appointed rooms, superking or twin beds. Bath with shower over. 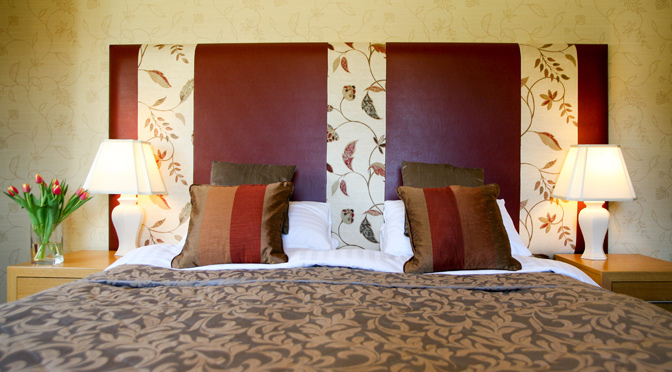 Our most luxurious rooms, superking or twin beds. Jacuzzi style bath with shower over.